@razorlab: Fenders haven’t been touched yet so I was thinking 255/35/18 for now, did you have a problem with that size??? With +15 you'll rub in either size with non-rolled fenders. Any idea what’s the minimum offset I could use with rolled, but not pulled fenders with 275/35/18? 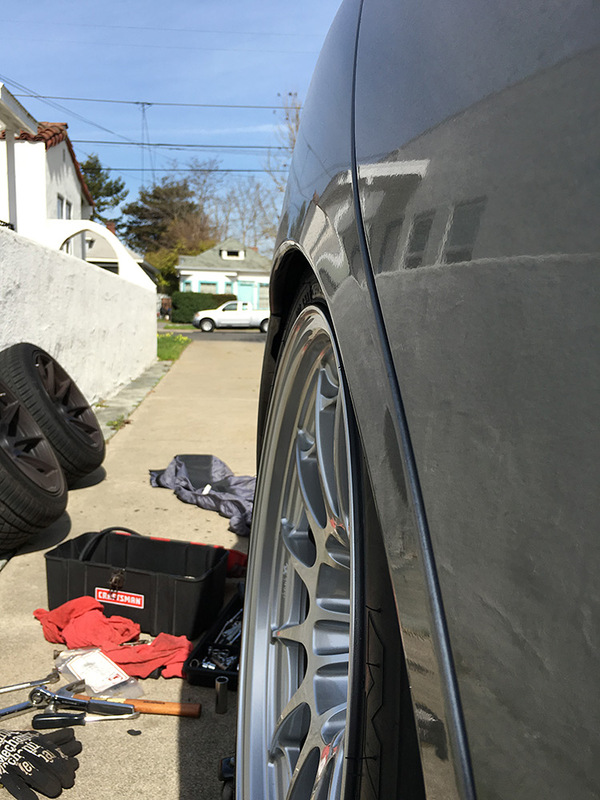 I think offset +18 but not 100% on 18x9.5 not sure on any other wheel sizes tho. Depends on your alignment settings... 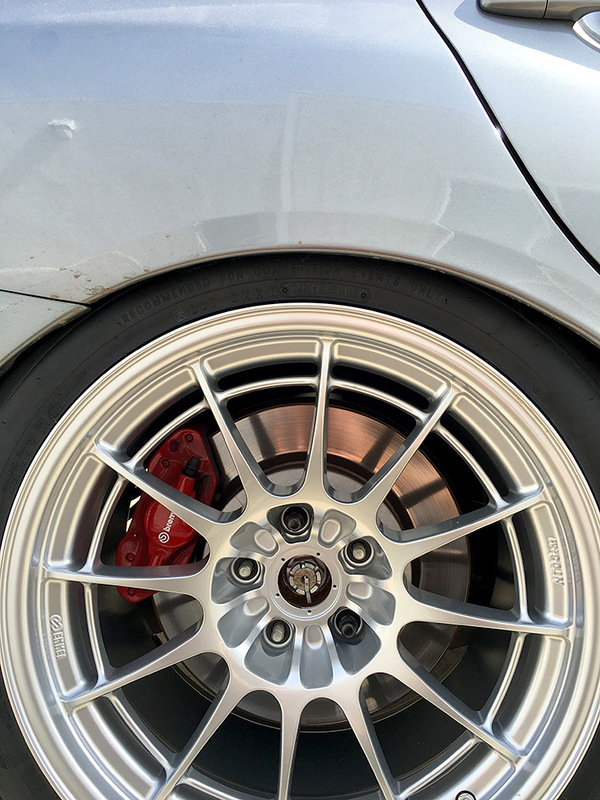 I run 18x9.5+15 with 265/35 tires, rolled rear fenders only, and -3.1f/-2.8r camber without any rubbing. My car sits pretty low, too. I might be able to squeeze 18x10.5+15 with 275/35 tires in there, but to avoid rubbing in the rear I'd have to pull the fenders or run -3° camber or more. With 10.5" wide wheels, I think the ideal offset would be around the +20 to +25 range. People have tucked the RPF-1s (+15) and CE28s (+18) in there without any issues though, so again, it all comes down to your entire wheel/tire/suspension setup. Last edited by flawlessninja; 11-30-2017 at 11:19 AM. 295/20/19 Kumho V720 ACR on 19x10.5, +15 with a 0.18s per 60 second time attack penalty? I would think offset has a greater dependence on tire size rather than wheel size, assuming the tire size is around rim size + 1 inch. You are probably gonna hit the rear fenders like nobodies bizz with 295 V720's and 18x10.5 in a +15 offset if you can't pull them. For some reference. Here is my track setup currently. Rears are rolled and naturally slightly pulled from the rolling. Last edited by razorlab; 12-07-2017 at 08:26 AM. The pulling is what gives me the effective time penalty, but the pulling let’s me use 295’s. I’m wondering if the wider tire and softer V720 ACR compound is worth the time penalty. Since I am swapping out the suspension/subframes/blah with fully adjustable components, I wonder if I could sneak some 305's under there. I am also running the NT03+M rims currently with 275's and rolled rear fenders with no rub at all. I guess it has to do with how much camber I have dialed in as well as the location of the spring. Any issues with trans/diffs running 315s? Been considering moving up from my 285s but don't want to risk the rear diff or transfer case right now. We've had no issues but another season will tell for sure. 295/30/18 on a 18x10.5 +15, i believe im running -3 in the front and -2 in the rear. Glad I searched rather than post the “what tire size should I run” in my thread. Pulling the trigger on the next set of tires. Previously ran RS3 at 265/35 and also the S04 in the same size. Thinking of trying the MPSS just not sure if I should go up to a 275 or not. Primary DD but want to get back to weekend warrior mode when the car is back up to proper order. So, worth it to go to 275? Lowered and already rolled. 1.8 front 1.3 back. I just ordered a set of Michelin Pilot Sport 4S (the new PSS) in 275. Interesting thing to me is that tirerack lists the tread width on the 275 as narrower than the 265. Honestly I think 265/35 for a DD vehicle is better. If you track occasionally 275/35 is better. 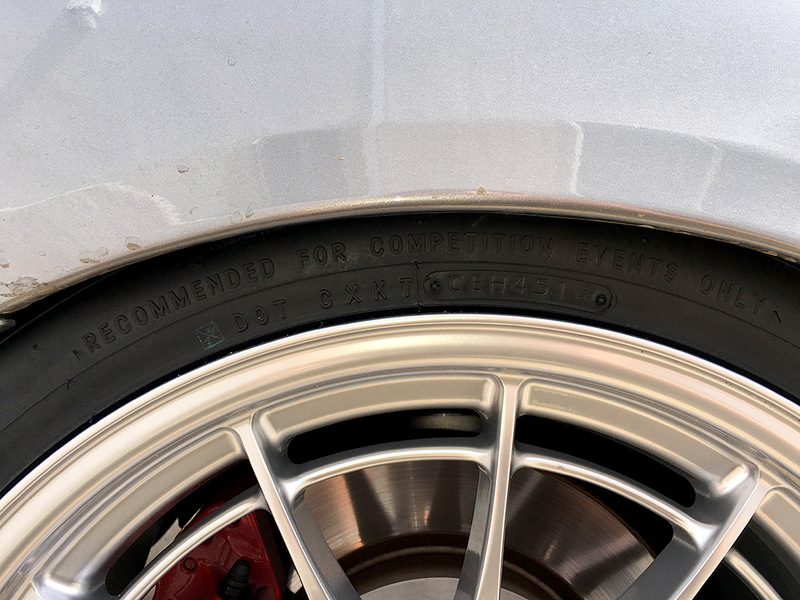 If you race it often then look at extreme performance summer tires as they outpace the max performance tires, but with some trade-offs to DD comfort.